moody's Archives - Africa M.E. 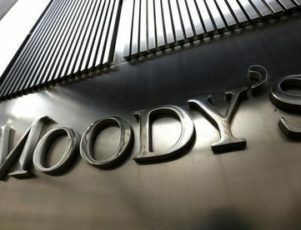 JOHANNESBURG (Reuters) – Ratings firm Moody’s will visit South Africa next week to decide whether to downgrade the credit status of Africa’s most industrialised economy to just one notch above sub-investment grade, the Treasury said on Wednesday. South Africa’s Finance Minister Pravin Gordhan told local station Radio 702 that Moody’s informed him of their decision during his stop in London on an overseas roadshow to meet with investors and convince them the economy could be turned around. “They will be in South Africa and meet with various stakeholders and get relevant information that will influence them either not to downgrade us or not to downgrade us,” Gordhan said. Gordhan is battling to boost South Africa’s growth and to persuade ratings agencies not to cut the country’s credit rating to junk following his appointment last December. “The review will allow Moody’s to assess to what extent government policy can stabilize the economy and restore fiscal strength,” the agency said in a statement. 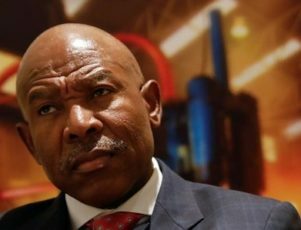 Moody’s put South Africa’s Baa2 credit rating on a negative outlook in December, and is the only agency that does not have South Africa a step away from junk status. 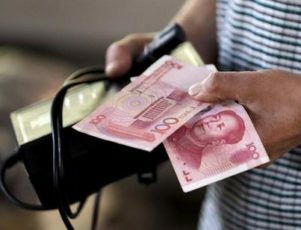 HARARE (Reuters) – Moody’s said on Thursday plans by Zimbabwe to increase the circulation of the Chinese yuan could lift investment from the world’s second largest economy but may not be enough to strengthen investor confidence and improve competitiveness. Zimbabwe abandoned its currency in 2009 after inflation reached 500 billion percent and adopted foreign currencies, anchored by the United States dollar, to tame runaway consumer prices and start an economic recovery. 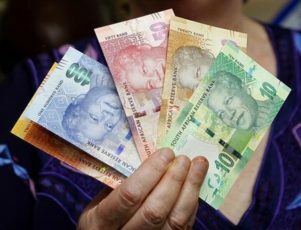 The U.S. dollar is widely used, along with the rand currency of neighbouring South Africa and the finance minister and central bank governor said last month Zimbabwe would now increase the use of the yuan. “The renminbi’s use will likely facilitate greater levels of foreign direct investment from and bilateral trade with China by reducing transaction costs and exchange rate risk,” Moody’s said in a report on Zimbabwe. China has in the last few years invested more than $1 billion in Zimbabwe, becoming the largest investor after the Southern African nation was shunned by the West over its human rights record. Moody’s, which has never rated Zimbabwe, said widespread use of the yuan could be limited by a population which has more confidence in the U.S. and is suspicious of other currencies after the traumatic experience with the Zimbabwe dollar.